So it’s Friday date night for you and your loved one. You just realized you accidentally forgot your new favorite pair of shoes in the car. Except when you go out to your car to get them, it is locked. You look through your purse for your keys and sure enough, your car keys are gone. You run quickly into your house to dig out the spare key that you never use and its not there. You try to think of someone you can call to help but it is almost eleven at night. Who would be open at this time? Stop worrying and just call 713 Locksmith Houston. In just thirty minutes or less, we will dispatch a technician to your location. We can fix both your problems by replacing your car keys and making a new car key. Our service is simple, fast, affordable, and professional. Have you ever needed to replace lost car keys? Or, maybe you just needed a car key duplication? Have you ever been in a rush and accidentally locked your keys in the car and needed an unlock trunk and car door service? Do you live in Houston, TX or around that general area? If you ever have a problem and need to replace lost car keys, do not freak out. Just relax and call 713 Locksmith Houston. Our company has expert technicians and a speedy response time. We can provide you with fast and friendly automotive locksmith service as well as upfront pricing. There is no need to worry as we are fully licensed, bonded, and insured. Our company can provide you with many car locksmith services in Houston, TX and surrounding areas. We also provide 24x7 locksmith service. We work around the clock so you can be provided with our fast and friendly service whenever you are in need. 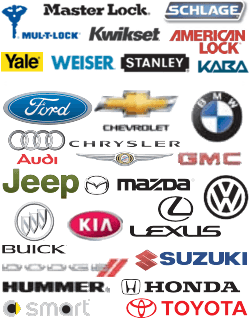 Our company will replace lost car keys for all makes and models of both foreign and domestic vehicles. We also offer laser cut keys, car key duplication, and we make spare keys. Our mobile locksmiths are ready to cut you a new car key on-site to replace your missing ones. 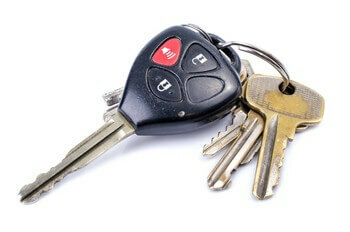 Are you missing a chipped key, car key remote, or transponder key? Not to worry because the auto locksmiths at 713 Locksmith Houston can replace those too! Our company can also provide you with a great car lockout service. So yes, you can finally stop stressing out every time you lock yourself out of your car. No matter what problem our customers bring to us, we will be prepared to provide you with what you need and we will do our best to provide professional, stress-free service. The service we provide is not only fast and friendly, but professional. Our team of expert technicians are dependable and honest. You can trust them to get the job done efficiently and in a timely manner. Our company strives to please our customers so we only hire experienced staff. Our auto locksmiths are highly trained. We use only high tech equipment and tools. This way, we can ensure the quality of all of our orders. We are convenient because we are local. Don’t forget, our company is fully licensed, bonded, and insured with guaranteed safety. Trust 713 Locksmith Houston to provide you with the best lost car key replacement service possible in Houston, Texas. Our 24x7 locksmith service helps us to do that for you. We try to make it as simple as possible for you so if you need us to arrive ASAP, we can provide you with our upfront pricing to make your service fast, affordable, and simple. 713 Locksmith Houston is here to help and make your life easier. Remember, we provide all of our services to Houston, TX and surrounding areas. Make your life easier and let us handle the situation for you. We look forward to your call. 24/7 Lost Car Key Replacement http://713locksmith.com/lost-car-key-replacement/ 4.0/5 based upon 25 reviews.